I am not sure if I like wearing black that much but black and gold is my cup of tea! More glamorous and less boring. Here are my new black and gold purchases. Kurt Geiger Anna Court suede shoes. here. 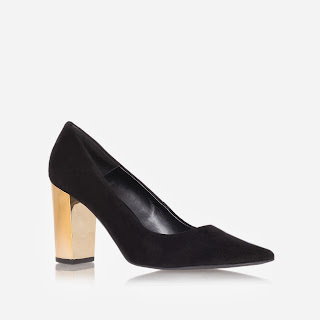 Very comfortable suede shoes for long evenings out. Michael Kors Mongolian fur collar coat with belt with golden metal detail. See it here. Very warm and glamorous with detachable fur collar. Love it! 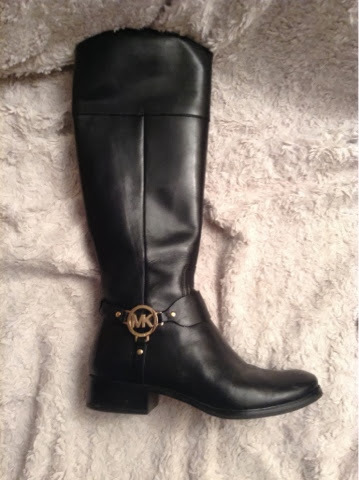 Michael Kors winter boots with golden logo in the side. Best boots in the world. Similar here. Black and gold is a classy colour combination.